Maria Ioudenitch appeared on Show 270, recorded in March 2013, at age 17. Maria Ioudenitch (violin), 17, is from Overland Park, Kansas. She attends the Barstow School and studies violin with Ben Sayevich at the International Conservatory of Music at Park University. 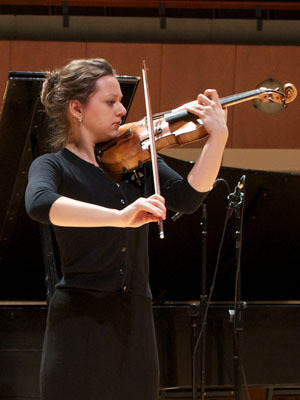 She was a second prize-winner at the 2012 Johansen International Competition for Young String Players in Washington, DC. Maria enjoys volunteering and sometimes performs at elder care homes and hospitals. Outside of music, Maria enjoys cooking and dancing.